The Daily Dose: Cars, Cleaning and a Rookie Surprise 0 out of 5 based on 0 ratings. 0 user reviews. As the countdown for Super Bowl LI kicks into first gear, here at Super Bowl Commercials we’ve been busy digging around for the latest scoop. Over the past few days, six new brands have revealed that they’ll be advertising on some of the hottest ad space in TV history. The good news is, if you’ve got an extra $5 million at hand, Fox still has a few Super Bowl LI commercial spots available for those last minute buys! What’s New for Super Bowl LI? Following up on their powerful Super Bowl 50 commercial, Audi, is back in the ad race for 2017. Though they’re still keeping their cards close to their chest, we do know that Venables Bell & Partners will again be taking care of the creative. Last year, their ad “The Commander,” featured the most expensive car ($190,000) ever advertised in a Super Bowl. It also tugged at our heartstrings, with an emotional story that saw a retired astronaut losing his zeal for life. That, topped with the late David Bowie’s “Starman” soundtrack had us close to tears. It was undoubtedly one of the best 2016 super bowl commercials. Fresh off the press! Mercedes-Benz will be returning to our screens with their fourth ever Super Bowl commercial. In previous years, we have seen the luxury automakers use the platform for big reveals, such as the new line of vehicles in celebration of the company’s 125th birthday, starring the one and only Puff Daddy. Though they’ve declined to discuss any creative details, we’re happy to kick back and relax, watching the 2011 Mercedes Super Bowl commercial for inspiration. There’s something in the air at the Super Bowl – and it’s nothing that stinks! 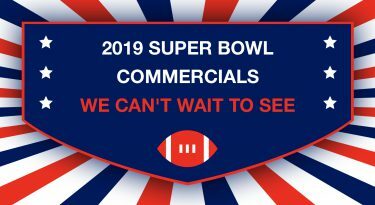 Household odor eliminators, Febreze, have joined the roster of Rookie advertisers with a 30-second slot secured during the second quarter of the Big Game. They haven’t revealed anything about the creative, but we hope it will include their famous #Noseblind campaign. Whether it’s getting used to the smell of your famous fish flambe, lingering garbage in your kitchen, or stinky sports sock – the Febreze team will be sure to intervene! Picking up on the “clean” theme, the man with the muscles is coming to our TV screens for his debut appearance at the Super Bowl LI – welcome, Mr. Clean! America’s all-purpose cleaning agent! But this guy needs little introduction. Mr. Clean has been a staple product and mascot for American households since the late 1950s. It is surprising, perhaps, that it’s taken this long for his Rookie show at the Super Bowl. Mr. Clean, which is also the Official Cleaner of Super Bowl LI, will air during the third quarter of the game with a 30-second commercial valued at $5 million. They are also manufactured by Procter & Gamble who make Febreze. But, wait, who exactly will be the new Mr. Clean? 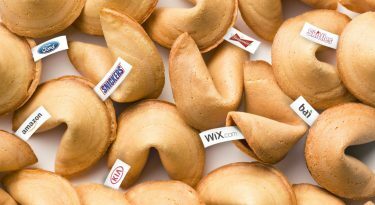 Lexus has reignited its Super Bowl flame. For a third year, the luxury car maker will be advertising during one of the prime Super Bowl commercial spots for 2017. 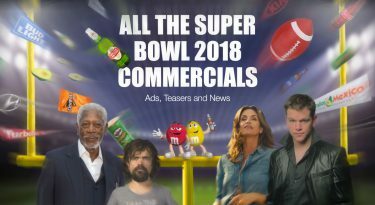 So far, we know that British actress Minnie Driver will narrate the upcoming commercial – she has recently been named as the new voice of the brand. Lexus has also revealed they will shine a spotlight on their all-new LS and LC models. In 2015, Lexus was the first Super Bowl XLIX advertiser to release its commercial just before kick-off. They also purchased another 30-second ad. Will they be keeping things simple and gimmick free like the previous years? Stay tuned to find out. Joining the Rookie roster is 84 Lumber, America’s largest privately held construction supply company. They’ve gone all out with the purchase of a 90-second slot for their first-ever Super Bowl ad. The commercial that cost an estimated $15 million, is set to air in the second quarter just before halftime.